James McAvoy has claimed modern society draws comfort from superheroes in a way people once did with gods. 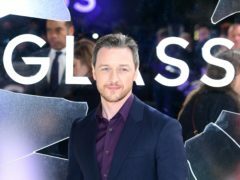 Film director M Night Shyamalan has thanked fans for their reactions to the poster for his forthcoming film, Glass. A thug who smashed a glass in a woman's face leaving her with a massive gash - then called police claiming he was the victim - has been jailed. For most people, the dream of building your own house is just that – a dream. The council has served a dangerous buildings notice at Inshes Retail Park in Inverness after a glass panel fell from a shop front canopy. Inverness Centre retail park reopened to shoppers yesterday, five days after a man was badly injured there by falling glass. Flags are flying at half mast for a churchman and former school rector who died on Christmas Day.